It has been another big week for Binance, the largest cryptocurrency trading exchange in the present-day blockchain ecosystem. Specifically, Binance previewed their new decentralized exchange via a YouTube video. In this post, we’re going to take you through what a decentralized exchange is, along with several of the core features of the upcoming Binance DEX – which is slated for beta release in early 2019 – and what this means for crypto. First, let’s get started with what a decentralized exchange (DEX) is. What is a DEX & How Is It Different From Traditional Exchanges? Well, for starters, before we tackle what a decentralized exchange is, it’s important to understand the properties and features of a centralized exchange – currently, the most popular type of cryptocurrency trading exchange used. At its very core, centralization refers to the vesting and concentration of power/control in a single organization or entity. In the context of cryptocurrency exchanges, centralized exchanges, are at the mercy of a central authority, or intermediary who controls access to personal information, funds, and transaction data/history. When trading on a centralized exchange, funds must first pass through a centralized intermediary, which executes and authorizes the transaction on your behalf. Central points and concentrations of power/authority, avail themselves to central points of failure. We know this all too well from the $1 billion+ that has been hacked or stolen in 2018 by malicious hackers and actors. Decentralization, or ‘decentralized’, refers to a distribution of control and power across numerous locations. And, in the context of crypto trading exchanges, it manifests itself in the form of a P2P network, minus third-party middlemen and intermediaries, where transactions take place specifically between two parties – and are executed/enforced by smart contracts. Simply put, DEX users need only fill their order requirements in the exchange order book, which is subsequently executed by a smart contract. Note that decentralized exchanges, also known as DEXs, run on potentially thousands of nodes, and are at the very heart of a decentralized blockchain ecosystem. In sum, you can view centralized exchanges as ones that connect traders to a specific entity or organization, while decentralized exchanges connect traders with…well, other traders. We’ll get into some other fundamental differences between centralized exchanges and DEXs in an upcoming blog post, however, volume/liquidity, security, up-time, and transaction times are some of the core differentiating factors. In just several months, Binance’s community-driven DEX, has already moved from “concept to coding to interface.” As we mentioned above, centralized exchanges are at the hands of a central intermediary or entity, and Binance’s DEX is set to bypass that, by enabling traders to exchange and issue digital assets and altcoins without first having to deposit onto a centralized exchange. You can check out a sneak peek of how it looks and works by heading over to Binance’s Medium page. Send buy and sell orders through various trading pairs created by the community. Binance’s latest blog post emphasizes that users’ funds will be “more SAFU than ever before.” SAFU meaning safer than ever. Additionally, users will be able to secure their DEX funds through decentralized wallet applications, like Binanace’s official Ethereum wallet ‘Trust Wallet’, ensuring users remain in complete control of their private keys and ultimately, their funds. Finally, Binance Coin (BNB) is gearing up to transition from an ERC20 token (Ethereum Request For Comments) to its own, native chain – Binance Chain. Other than furthering the core ethos of blockchain – decentralization – Binance’s upcoming DEX stands to bring unprecedented levels of security to the masses. While there are already DEXs in existence (look no further than IDEX and CryptoBridge), they’ve failed to achieve what Binance has with their decentralized exchange – mass adoption. Unfortunately, even during the crypto market’s meteoric rise (and decline), DEXs still failed to gain mass traction, due to the the general public’s lack of understanding about their benefits and perceived complexity. Binance has done countless things well during their (also) meteoric rise to the top of crypto trading exchanges, and education is one of them. For example, Binance has their own “cryptocurrency academy,” aptly named “Binance Academy,” with educational articles and videos tackling everything from the history of blockchain, to what cryptocurrency mining is, all the way to what market makers and takers are. 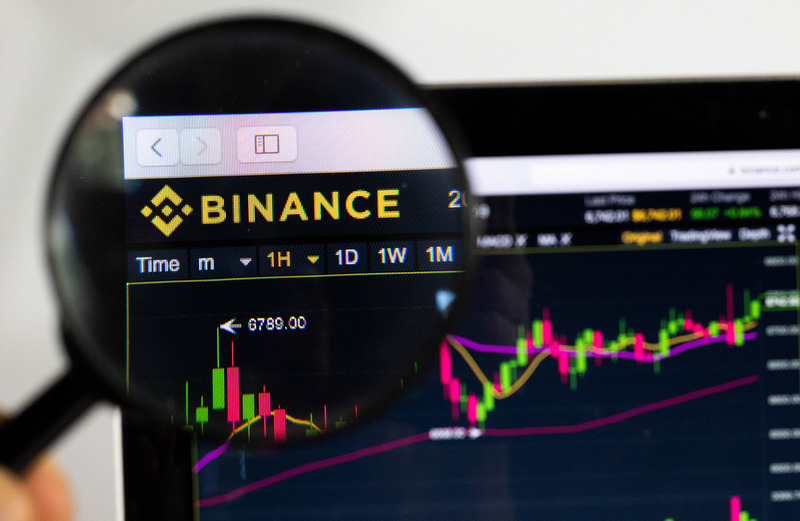 Binance’s is positioning itself nicely as the bridge between an otherwise true manifestation of crypto trading and the masses, which could ultimately help drive market participation, volume, and trust. Keep in mind that other crypto exchanges (including Huobi) have pledged an intention to evolve into standalone decentralized exchanges, which could also lead to a disruption of more traditional cryptocurrency exchanges and further a safer, more secure, and potentially sustainable trading ecosystem. That’s not to say that centralized exchanges won’t still have their place in today’s crypto-sphere, as the global adoption of cryptocurrencies is still comparatively minute, and decentralized exchanges will only likely fully thrive when fiat becomes less prevalent (and relevant). We’re interested to hear your thoughts about Binance’s upcoming DEX and any other of your favorite decentralized exchanges in today’s blockchain ecosystem! If your law firm or blockchain company is looking to take their online presence and content to the next level, contact us at Blockchain SEO today! Reach out today for your free website diagnosis and SEO consultation. It’s time you started increasing web traffic, conversions, and visibility in today’s online search results. Contact us by filling out our contact form, or by emailing us at owen@blockchainseo.net.